Charter Companies and permissions withthe Maritime Authorities for commercial vessels. Non-Contentious and Contentious matters with Maritime Authorities. The general definition of the vessel under Spanish law is not only as a craft intended for coastal or high seas navigation, but also as floating docks, pontoons, dredges, Hooper barges, or any other floating device destined for or capable of being used in maritime or inland transport for industrial or commercial purposes. Vessels are considered to be movable property, however, it has a special status in relation to ship mortgages according to which the vessel is considered as real property and must also comply with other requirements which apply to immovable property. The requirements to fly the Spanish flag and registering a ship in Spain may relate to either ownership or trading possession by virtue of a bareboat contract permitted by Spanish law. Spanish ships may be flagged out in foreign countries and foreign vessels may be flagged in Spain, although only temporarily in either case. If you wish to buy or sell a vessel you would first need to draft a Contract, which includes Legal assessment, cargo analysis, memorandum of sale, and bill of sale. Thereafter, you would need to have it registered at the EU; an Off -Shore Ship and Yacht registration with provisional and definitive flagging, flag change, ownership title change, official notes, and property file proceedings, temporary and definite withdrawals. Before you can conclude the purchase you would need to register in two different types of registers: the Maritime Registries (administrative registers) and the Mercantile Register (with legal effects to third parties). Any vessel must be previously registered in the appropriate marine register (at the home port) as such a registration is necessary to comply with administrative formalities. The vessel, registered in the Maritime Registry as a Spanish vessel, is allowed to fly the Spanish flag. Thereafter the vessel must be also registered in the Mercantile Registry; such registration entails registration of title to the vessel, with legal effects for third parties. On the other hand, any change in the ownership of the vessel, constitution, modifications or cancellations of charges or encumbrances should be first registered in the Mercantile Registry and then reported to the Maritime Registry. The registration in the Maritime Register provides that in order to fly a Spanish flag a vessel should be registered in any of the Local Ships Registry located in every maritime district of Spain. Local Ships Registries are under the control of the appropriate local maritime Authority. (Capitanía Marítima). Finally, the third book relates to Registration of vessels, there is a Mercantile Register in every provincial capital. The particular Mercantile Registry will be allocated, in the appropriate Local Mercantile Register of the home port province. The ship is definitely registered when entered into the Mercantile Registry; such registration entails registration of title with legal effects for third parties. 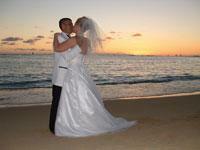 Why not Plan for your Spanish Wedding with the help of your Lawyer?